Woot woot!!! They have started rolling out! 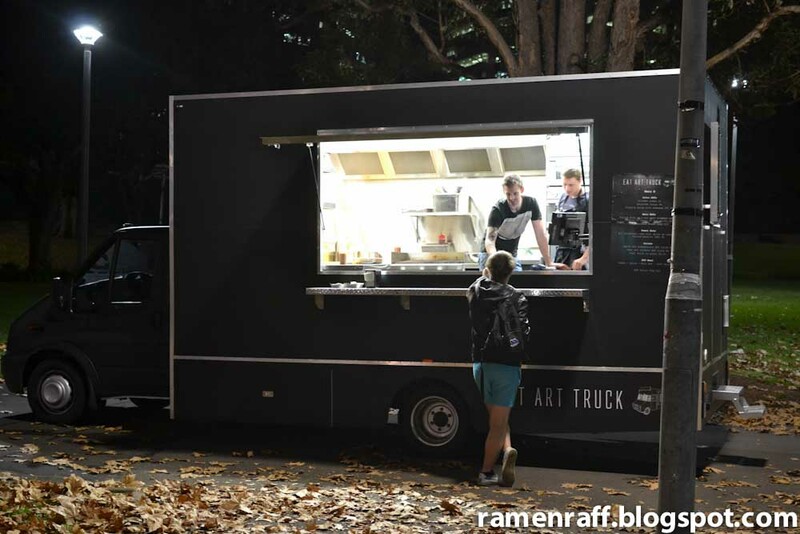 The highly anticipated Sydney Food Trucks has finally been set into motion in the last two weeks starting with two trucks (out of 10 approved food trucks). Namely, Cantina Mobil and Eat Art Truck. A lot of Sydney food lovers such as myself once wished upon a star and those wishes came true thanks to the Sydney City Council. Most of you may know that the Food Trucks became a popular phenomenon in the US particularly Los Angeles and New York City. 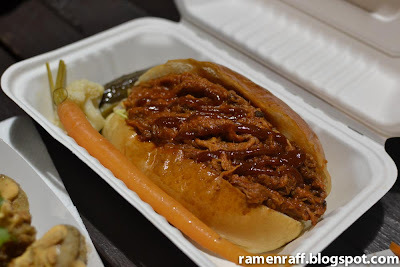 Food trucks are basically mobile venues that sell food like barbecue dishes, grilled meat, sandwiches, salads, tacos, burritos, fried food, hamburger, dumplings and the list goes on. It could be anything from pre-packed food to freshly cooked gourmet type street food. 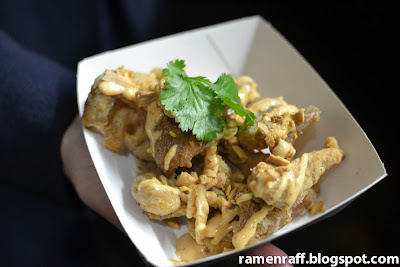 A few months ago, I had my first ever food truck experience in Los Angeles with a truck that did a fusion of Filipino cuisine and American cuisine. I was saddened by the thought of leaving the US and the food trucks. But fortunately, I returned back home with the joyous news of ten Sydney Food Trucks having been approved! 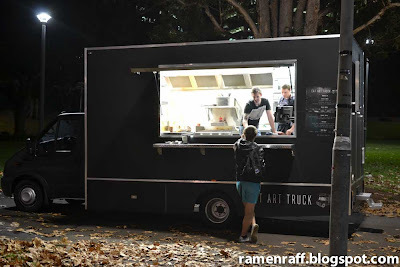 Now, back to the main focus of this post, I present you EAT ART TRUCK! Sounds like “Eat our truck” right? I would eat the whole truck if I could because their dishes are so delicious! 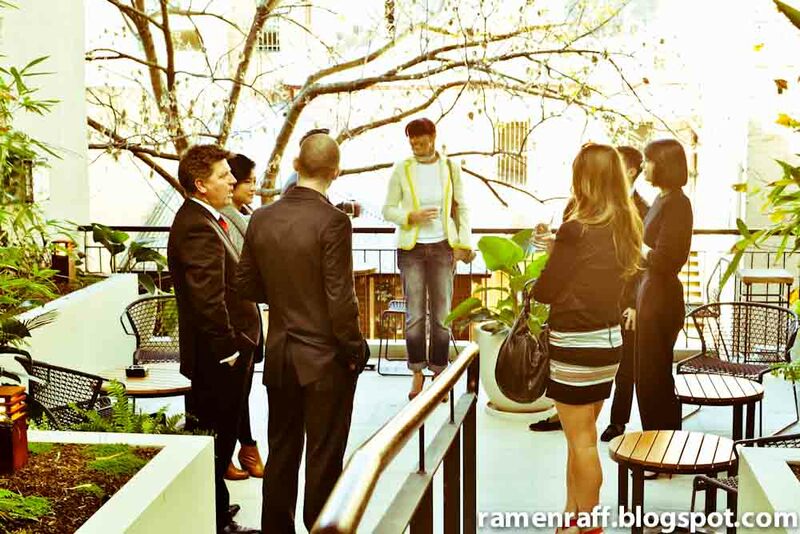 The chef and creator of Eat Art Truck, Stuart McGill was sous chef at Tetsuya for five years. He is a really cool dude with off the hook skills in the kitchen, which is very evident in his food. The mouth-watering menu/food is barbecue themed with a fusion of Japanese, Korean and the deep-southern US cuisine. We started with a complimentary kinpira salad with edamame ($8). 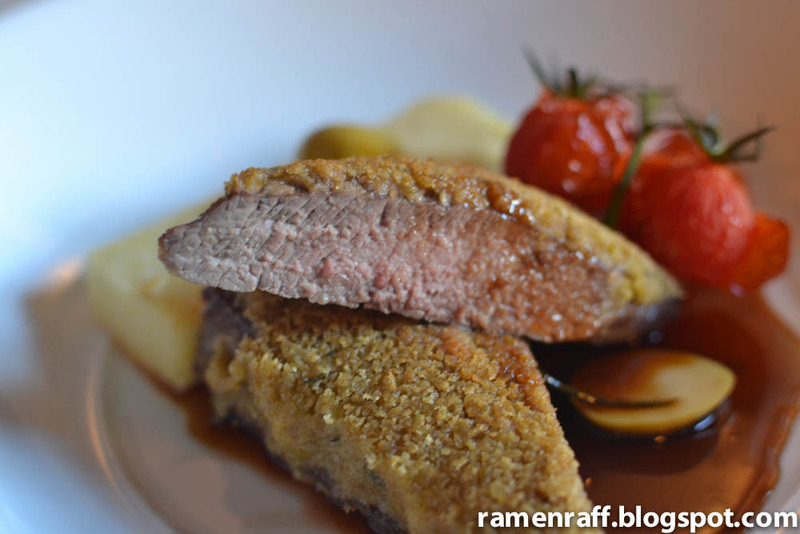 Kinpira is a Japanese cooking style summarised as "sauté and simmer". 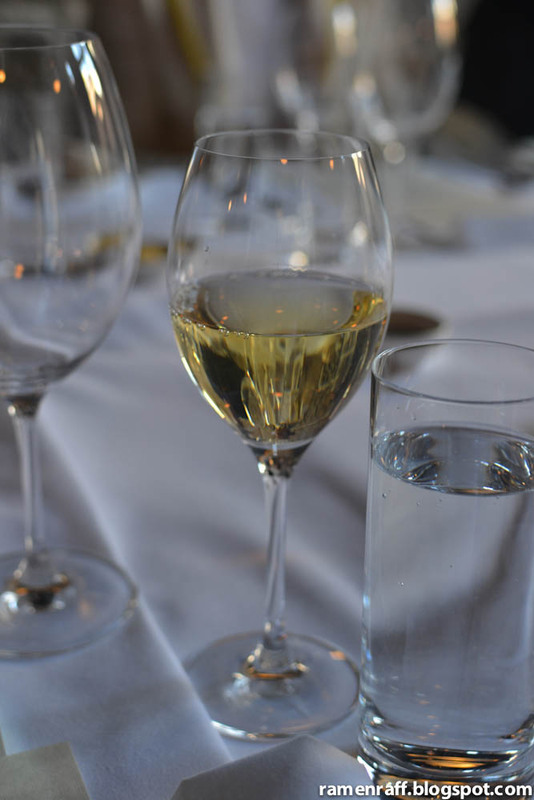 It is very delicate and flavourful. 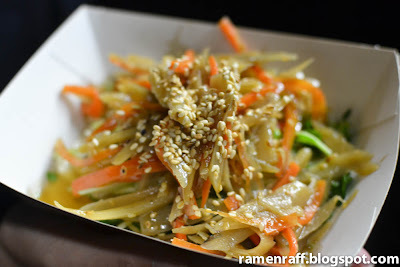 It had many flavours found in Japanese and Korean salads/sides. There is bit of sesame flavour with subtle sweet and salty taste. It was a very nice dish to start with. 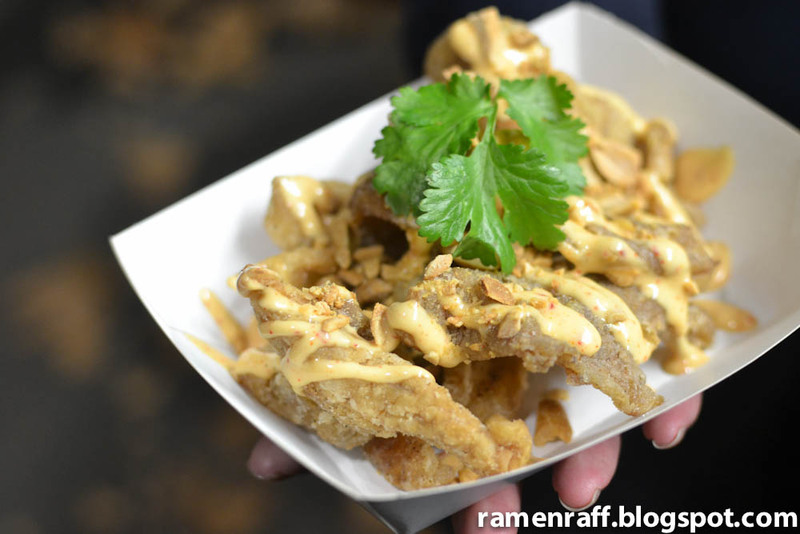 The Chicken sembe ($5) is super crispy and a-m-a-z-i-n-g! It's a Crispy Skin Chicken dish (need I say more?). It is drizzled with a really nice mayo type sauce. After I saw this in Phuoc’n Delicious’s post, I said to myself that “I gotz to have it!”. 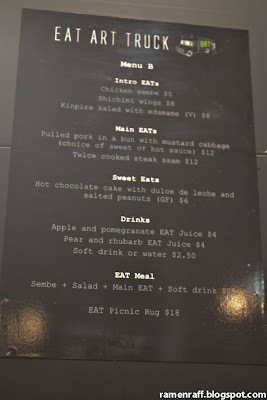 Last but not the least, we had the almighty pulled pork in a bun with mustard cabbage ($10). There is a choice of having it with either sweet or hot sauce. Of course, we went with the hot sauce because we’re badass. This pork roll is AMAZEBALLS! It is smoky and tender pulled pork served in a soft and slightly sweet bun. The hot sauce and lightly creamy mustard cabbage takes a great pork roll to another level of awesomeness. I also loved that it was a pretty big serving. Eat Art Truck will be one truck I see myself keeping track of every week. After that experience, I’m going to need a weekly dose of pulled pork bun and crispy chicken skin. 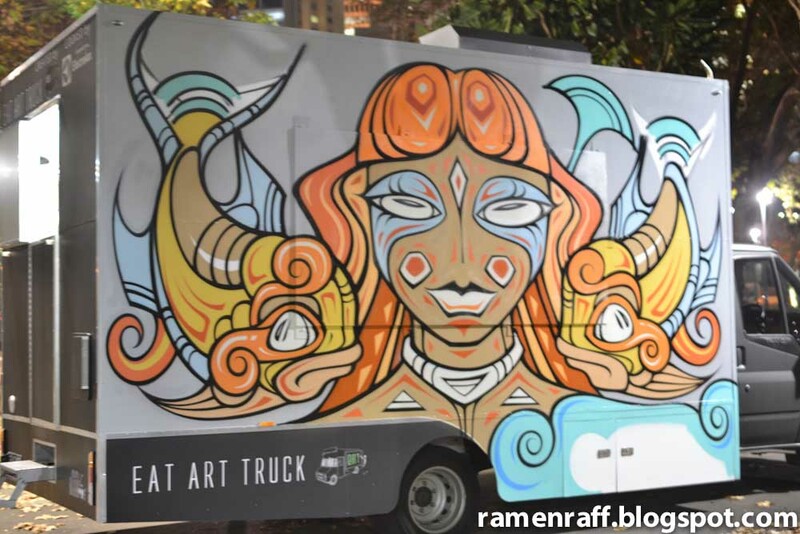 Eat Art Truck will be in various locations during different times throughout the week. To keep track of their stops, follow them on Twitter - @EatArtTruck (also @sydneyfoodtruck for Eat Art Truck and other Sydney Food Trucks) or check out their Facebook page -www.facebook.com/EatArtTruck. 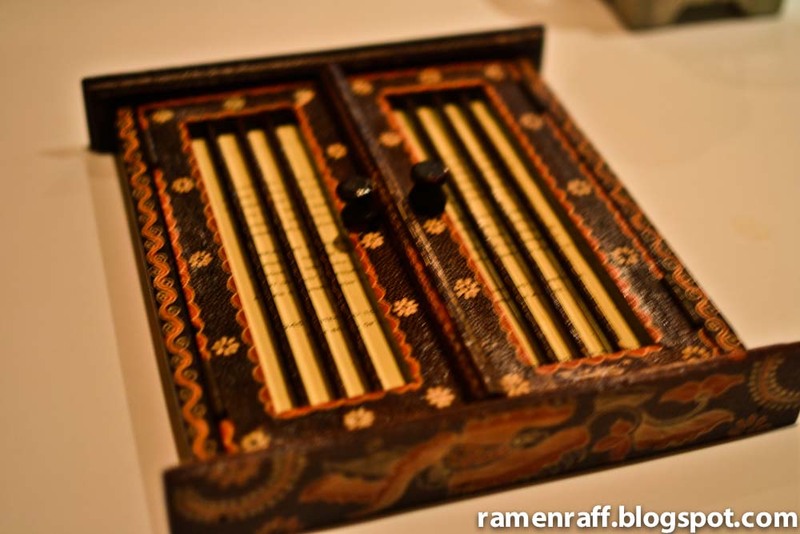 To learn from history is what most people consider as an important ingredient to the recipe of future success. Many try to preserve the treasures and values of the past and turning good things into something great. Just like the iconic area of The Rocks, our modern world meets historical Sydney. 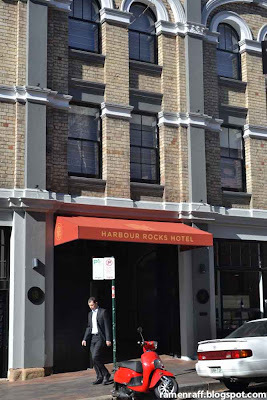 The newly relaunched Harbour Rocks Hotel is as beautiful as the area. 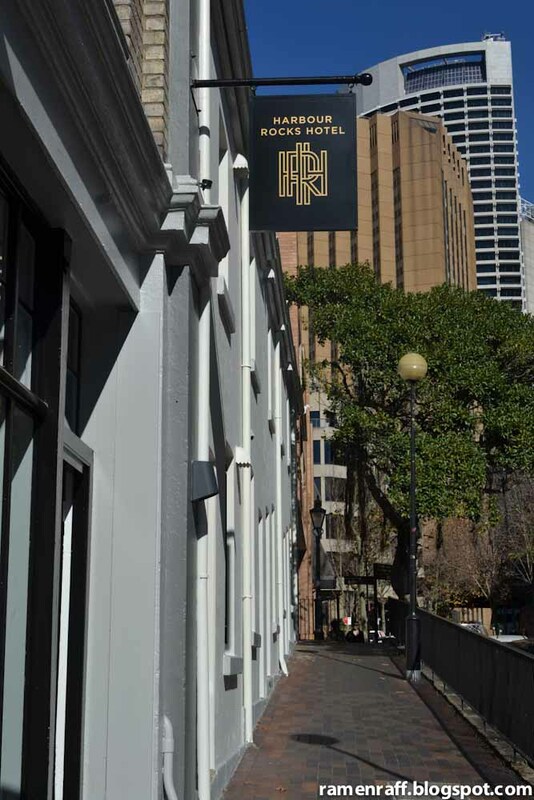 It was at one point a bond store, a hospital and now transformed into a stunning hotel. 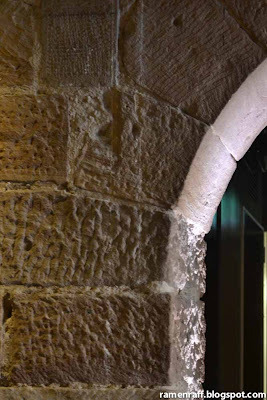 The owners kept some of its history by keeping and exposing the sandstone and brick walls. 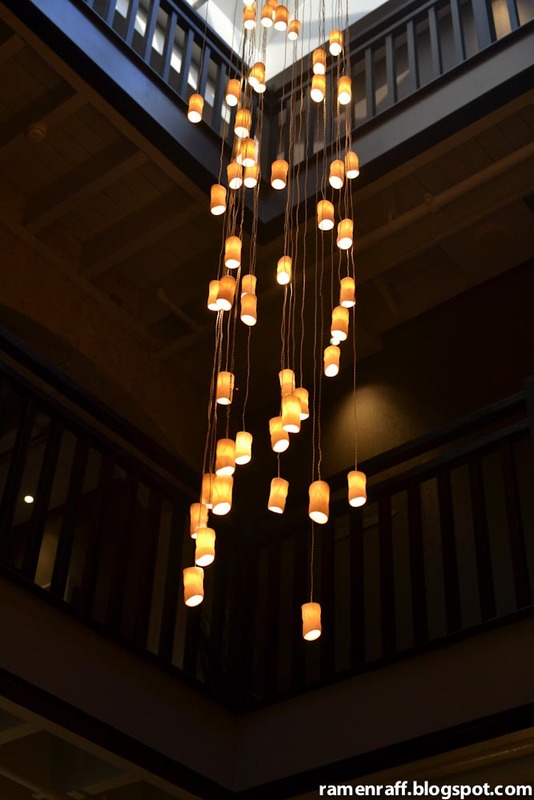 They kept its strong foundation and turned it into a magnificent contemporary boutique venue. The renovation project took almost a year to complete. 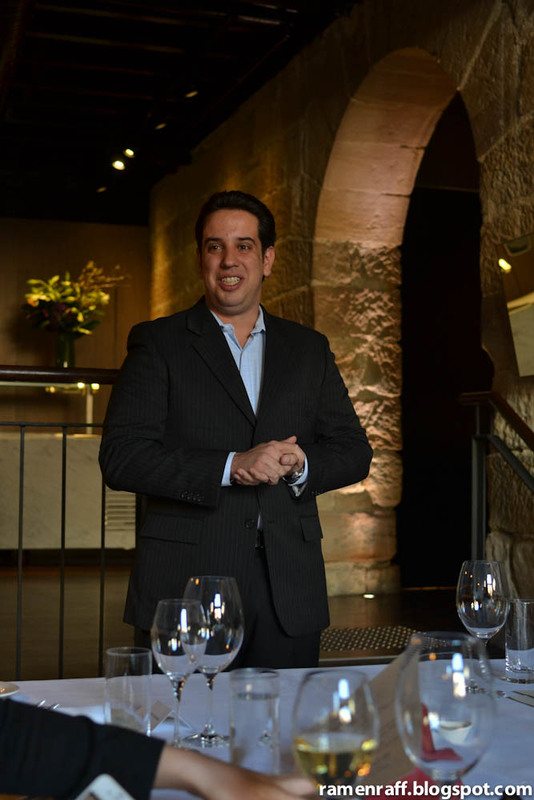 40-seat bistro that reflects the "old meets new vibe" of the rocks. The food is Modern Australian. Collaboration between Sous Chef Sabine Kowalewicz and John Slaughter (Executive Chef of Scarlett and the Sebel Pier One) resulted in the creation of Scarlett's enticing menu. 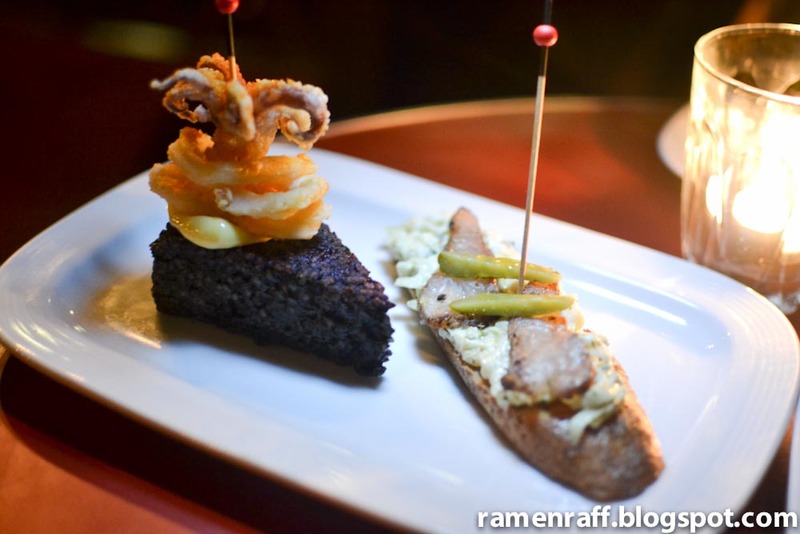 They take classic dishes and come up with their own modern interpretation. I was first presented with seared scallops, kohlrabi remoulade, and toasted quinoa ($18). This dish is all about delicate textures and fresh flavours. 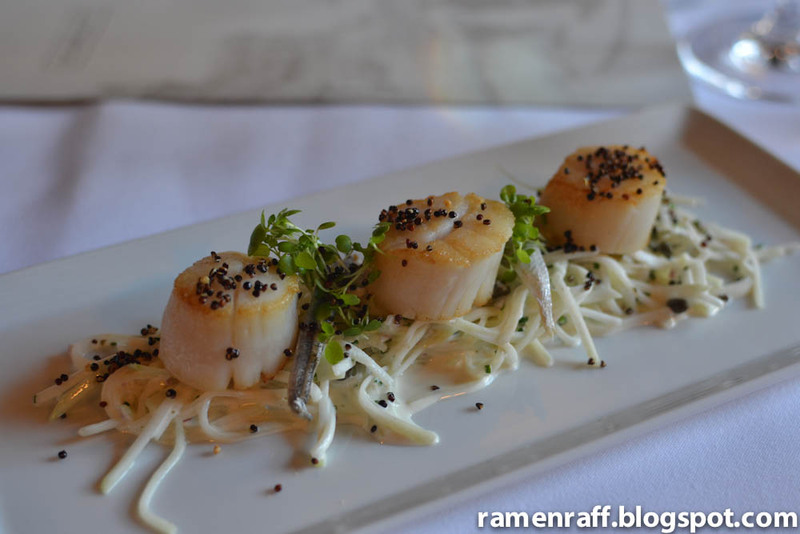 The scallops were perfectly cooked. The kohlrabi (German turnips) gives the dish a delicate crunchy texture and a subtle creamy flavour that's almost like tartare from the remoulade. The lamb backstrap, gordal olive crust, white polenta, roasted cherry tomatoes, jus ($36) was my main event pick! 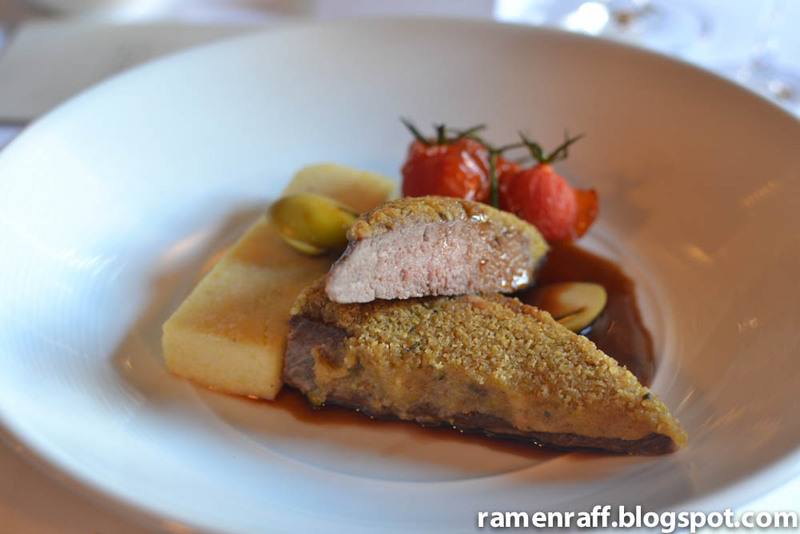 The gordal olive crust on the medium well cooked lamb is slightly crispy and released a subtle olive taste. My favourite part of the luncheon is the dessert. 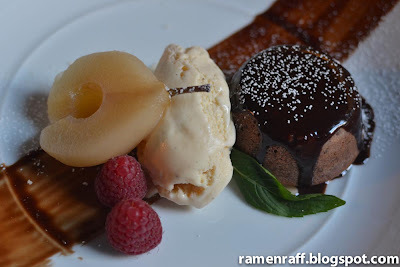 It was a warm red wine and chocolate cake, poached pear, vanilla ice cream, ganache ($14) Ok, this a dish deserving of the usage of the "A" word. Every post of mine has one. It is a plate full of....(wait for it).....AWESOMENESS! The cake itself has the same texture of a moist banana cake with subtle chocolate and red wine (minus the alcohol after taste) flavours. The vanilla bean ice cream is smooth and creamy. The poached pear is very luscious and its natural sweetness was nicely brought out. 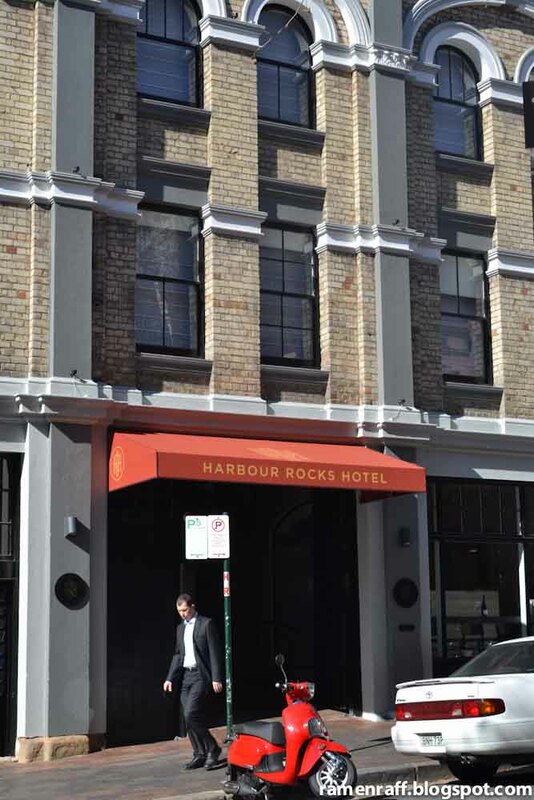 Both the Harbour Rocks Hotel and Scarlett Restaurant brought out the best out of historical structures and classic dishes by giving it a contemporary touch. It is an awe-inspiring venue with a restaurant that serves mouth-watering cuisine. Look them up next time you plan to stay or dine at The Rocks! 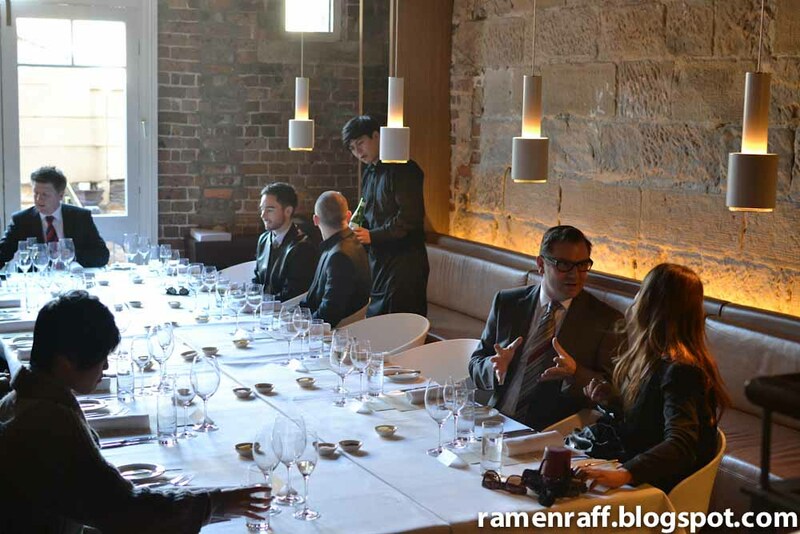 Ramen Raff dined as a guest at the Scarlett Restaurant courtesy of Six Degrees Creative PR and the Harbour Rocks Hotel. I recently had the pleasure of sampling authentic Indonesian/Dutch East Indies cuisine. I definitely enjoyed every bit of the experience. The very humble but sophisticated restaurant called 1945 on Harris Street, Pyrmont has graced me with this experience. You maybe asking - What's the significance of 1945 with Indonesia? 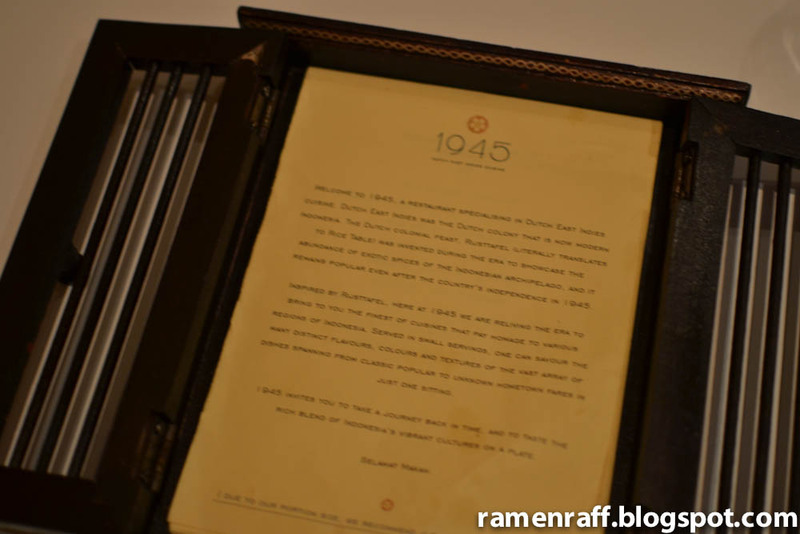 It was during the year 1945 when Indonesia declared its independence from the Dutch. As the year 1945 plays a big part in Indonesia's history, naming the restaurant after that year fits well with the type of cuisine they have to offer. 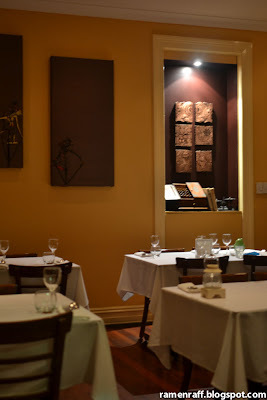 It is a cuisine that’s authentic and rich in tradition. As I sat, the soothing scent of lemongrass in the air was very evident. The spa-like backdrop music sets a calming and relaxing setting. Both scent in the air and the music has left a soothing feeling within me. Soon as the grand rijstaffel came out, the indulgence commenced. The Grand rijstaffel ($85) is a sight to behold! Rijstaffel is a Dutch word that means, "rice table". 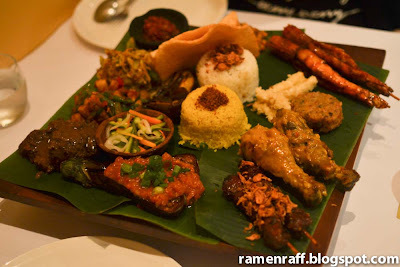 It is like a huge sampling platter of side dishes in small portions accompanied by rice. 1945’s grand rijstaffel features an array of enticing colours and mouthwatering flavours. 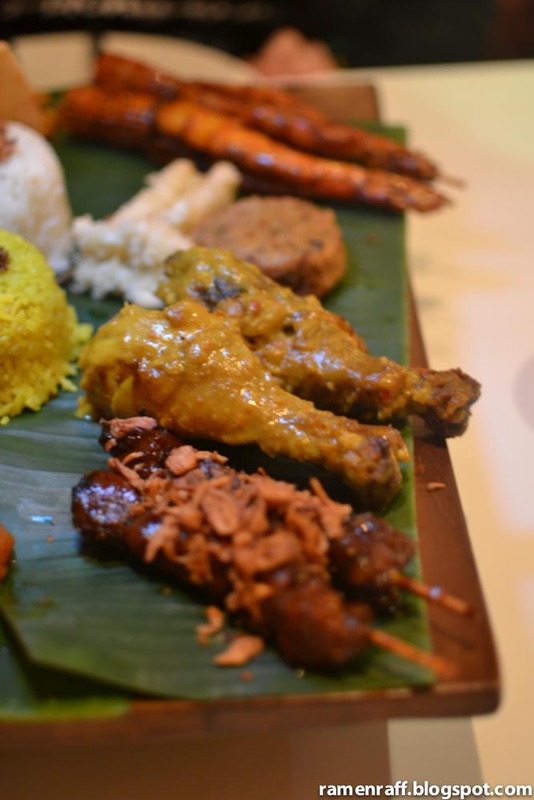 It is dishes of varying textures and degrees of spiciness. This particular rijstaffel is perfect for two people. The beef rendang (Rendang daging) and pork satay (Sate babi) were the stand out dishes for me. 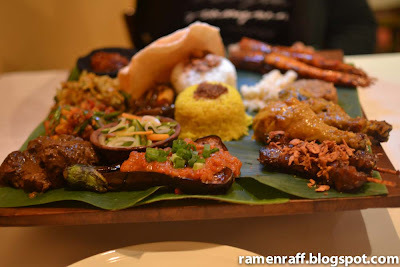 Their rendang (which is dry curry) is the Java version that is a little bit sweet and super tender. While the pork satay had a caramelised, slightly tangy and sweet barbecue taste. 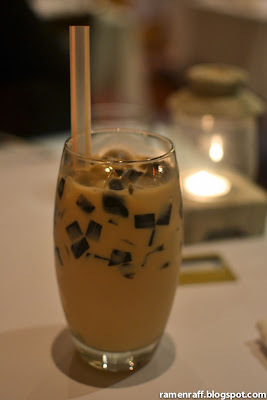 Their iced milk tea with grass jelly is probably one of my most favourite versions of iced milk tea. It is not overly sweet and the tea flavour is not too overpowering. Will I be back? For sure! 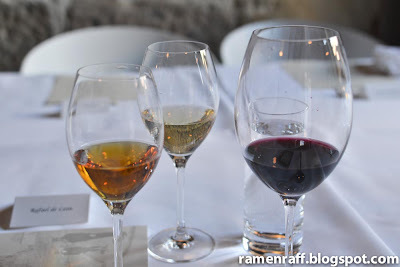 If the grand rijstaffel is just a peek of the rest of the menu, I can't wait to try the rest! Hump day is another name we use for Wednesday. For most of us, this is when we start counting down towards the weekend. 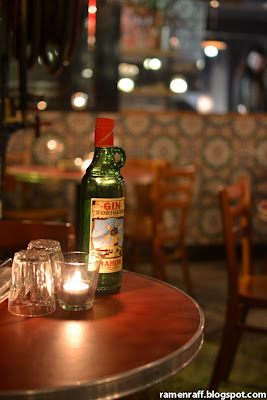 Some visit a fancy restaurant and others crawl to a pub at night to relax and catch up with friends. At the Carrington Hotel and Beba Y Cene, Wednesday night is $10 burger night. 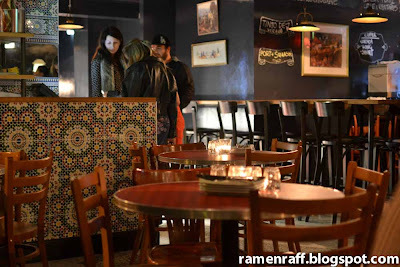 The fried chicken and slaw burger, lamb and chilli yoghurt burger, mushroom burger, shark and romesco burger and the occasional special burger of the night, each for an amazing $10 including a side of chips. The burgers do not fall short of quality taste too. 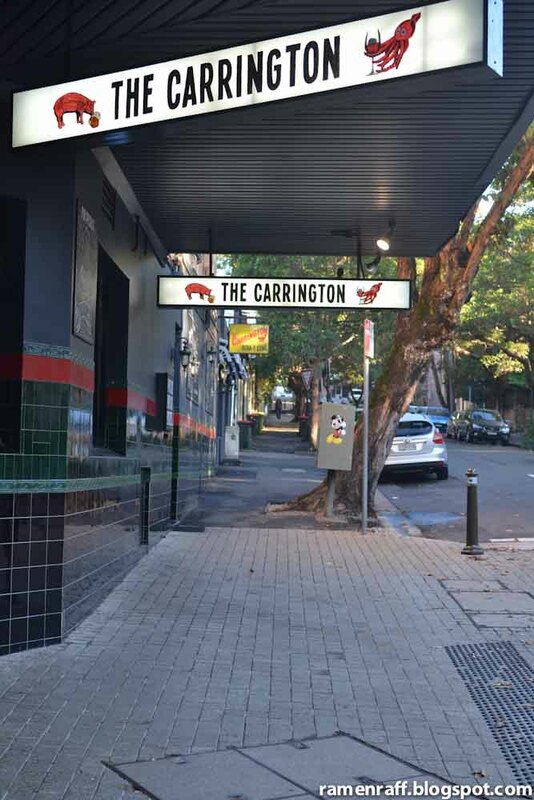 The Carrington Hotel and Beba Y Cene restaurant is located on Bourke Street, Surry Hills. 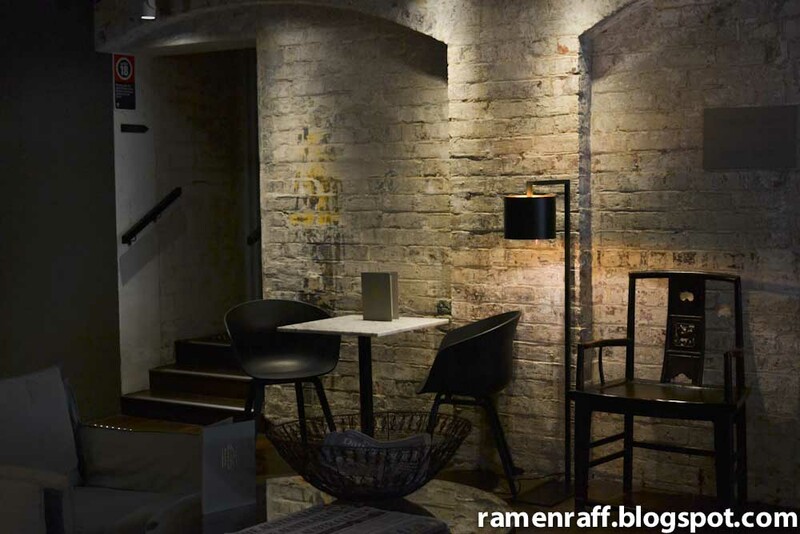 The setting is rustic and lively. The superb menu is designed by head chef, Jamie Thomas. 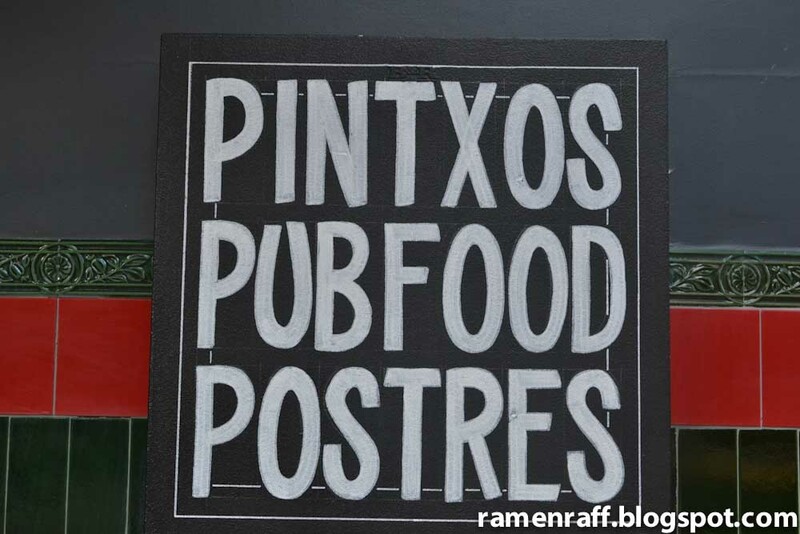 The cuisine is like a crossover of Spanish and Australian pub food with a gourmet touch. 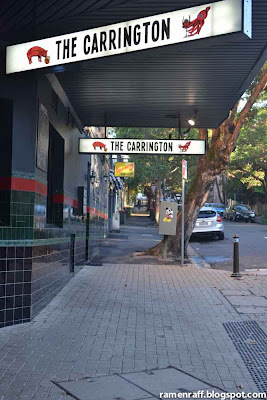 Both the Carrington Hotel pub and Beba Y Cene restaurant serves the $10 burgers. The paella onigiri with fried calamari ($4.50) is Chef Jamie's Spanish take on the classic Japanese dish/rice ball snack. While onigiri is traditionally made with white rice formed into a triangular or oval shape, here black paella is used. The idea and execution is genius. It tastes so good, I could eat it all day long. The squid is also cooked perfectly. The kingfish pastrami on rye ($4) is an open sandwich pintxo. It was all kinds of awesome going on in my mouth - creamy, fresh, and very exquisite. Now, down to the burgers (with generous amount of crunchy fries as side). 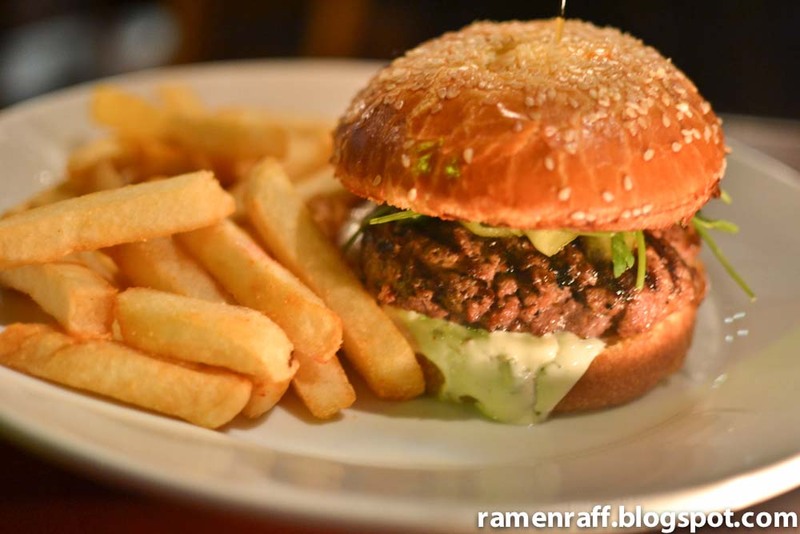 The lamb and chilli yoghurt burger is amazesome! The thick juicy lamb burger patty cooked medium well contained in a nice burger bun. The mild chilli yoghurt sauce adds a nice touch to this awesome burger. The burger special of the night was the Aussie beef burger. The burger was monster in size, flavourful and juicy! 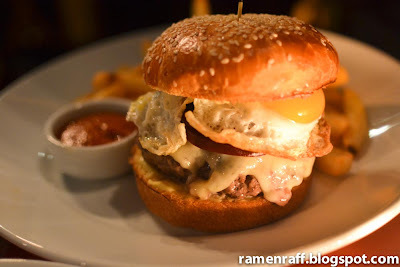 It had free range beef patty, egg (with oozing yolk..mmm), double cheese and beetroot. The service is great and ingredients are fresh. They also use free range products. 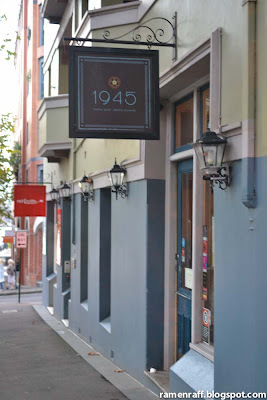 One cannot go wrong with big servings and great tasting food that is nicely priced. Verdict? An addition to my list of favourite happy places! 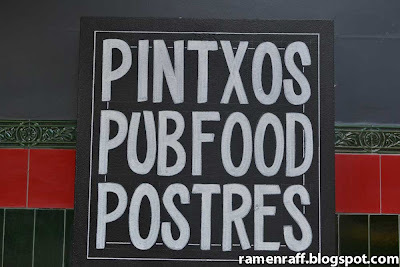 I will definitely be back to try the other burgers, pinxtos and tapas. Joke time - Q: How do they prevent crime in hamburger city? A: With burger alarms! Live it up, eat up and laugh!